!! OMG, how tiny: Christina Aguilera !! 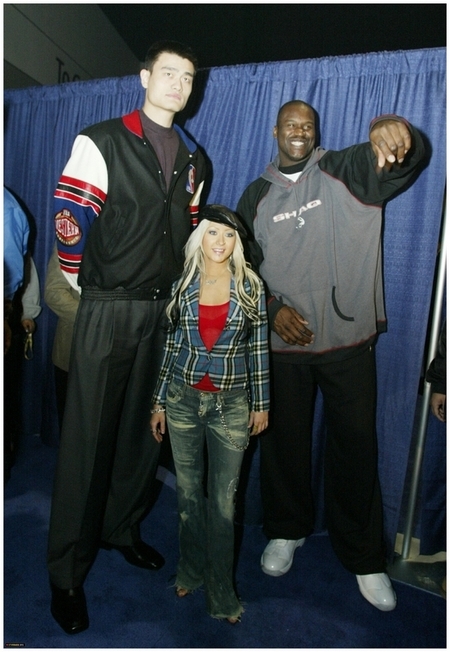 Seeing Christina Aguilera stand next to basketball stars Yao Ming (7’5″) and Shaquille O’Neal (7’1″) is kind of disconcerting; it feels like my whole perception of reality is distorting. She is larger than life, dammit! 3 Comments on "OMG, how tiny: Christina Aguilera"
she looks happy, i would have been scared.